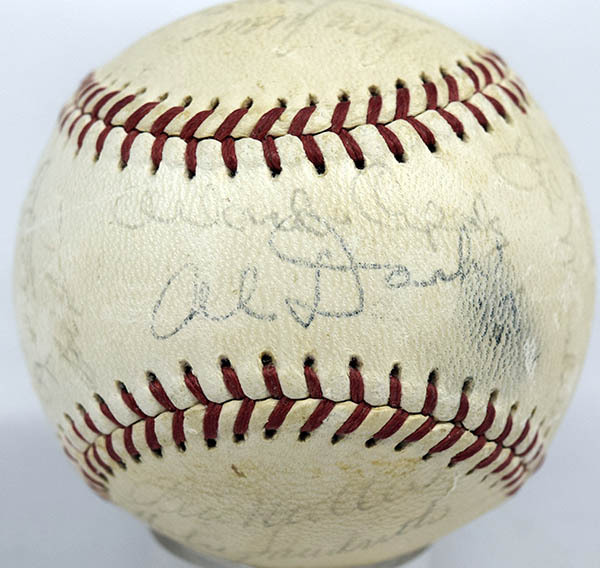 Clean ONL Giles model ball has 27 light but consistent signatures. Very uncommon team ball, manager Dark is stamped as always. The other signatures include a real Mays, McCovey, Cepeda, Kuenn, McCormick, two Alou brothers and Davenport.